Spices are an essential feature of Indian cuisine. These spices give a distinct flavor and aroma to your dishes. 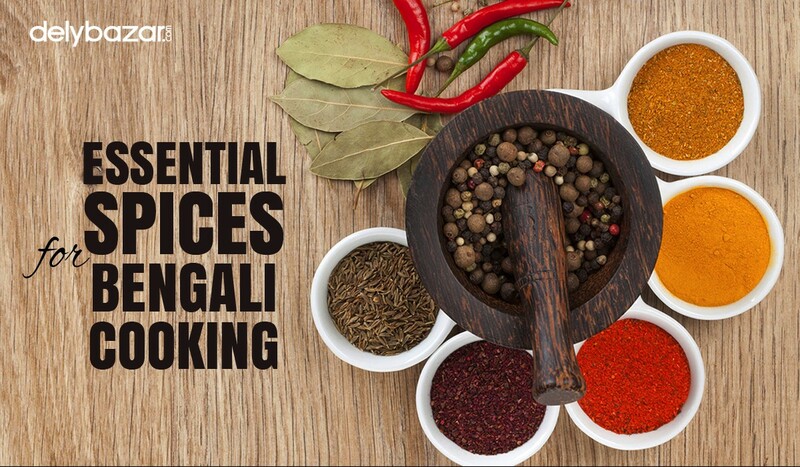 Each spice has its unique flavour and the right combination of these spices can turn a simple dish into extraordinary. Spices are the heartbeat of a Bengali kitchen. There are a couple of spices that you cannot just do without. The 5 spices include- Radhuni, Kalonji (Kalo Jeera), Fennel Seed (Mouri), Fenugreek Seeds (Methi), and Cumin Seeds (Jeera). Simply gather the seeds and the aromatic blend of spices are ready. It can take the taste of meat,fish, and vegetables several notches up. All of these spices are readily available in the market or you can also order these spices online (you can browse our list of spices). These brown seeds have an earthy flavour and are famous for its intense aroma. Its distinct flavour has made it an essential spice of every Bengali household. If you are cooking fish, meat or any other vegetable dishes, adding a bit of jeera can spark up your cooking. The seeds can be used whole or you can roast them and turn into a paste. Whatever may be the way, it gives a smoky flavour to your food. These small black seeds have a slightly rough texture and an amazing peppery flavour. Kalo Jeera is also a vital part of Panch Foron. You can use Kalo Jeera in almost every dish. Whether you are baking cookies, preparing naans or paratha, lentils or any other vegetable dish- adding a bit of kalo jeera immediately enhances its flavour. Turmeric has a slightly pungent and earthy fragrance. When added in adequate quantity, it gives a nice golden colour to your curries, daal, and vegetables. Turmeric also has medicinal benefits and can be eaten raw or in a powder form. The taste of raw turmeric is a bit strong. These yellowish seeds have a bitter and nutty flavour. Methi seeds have a strong fragrance and if not used with caution, can easily overpower a delicacy. However, when added in moderate amounts, Methi can spice up the lentils, soups, chutneys that you cook. aroma to your dish. Its warm and sweet flavour has also made it popular spice for your desserts. Cinnamon is an important part of the garam masala. The tiny black or yellow mustard seeds can easily spice up any dish you cook. Its smoky and nutty flavour makes it a staple for pickles, chutneys, curries, and vegetables. You can use the whole seeds or in powdered form. It is easily available in the market or you can also buy sunrise mustard powder online from our website. 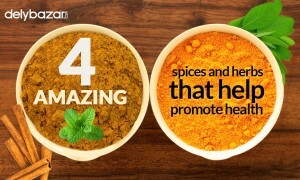 If you want to buy spices online, then log on to www.delybazar.com and browse our list of spices.